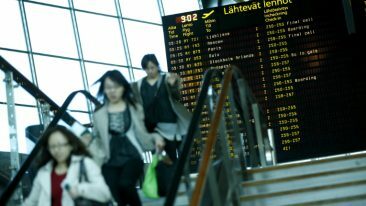 New destinations will be introduced by a range of airlines at Finnish airports. Finnish airport operator Finavia will see increased flight coverage at its airports in Helsinki and Turku for the 2019 summer season. The new routes will be introduced by both existing carriers and three new airlines set to commence operations in Helsinki and Turku, namely Air Serbia, Tibet Airlines and Juneyao Air. New flight routes for summer 2019. Air Serbia will commence flights between Helsinki Airport and Serbia’s capital, Belgrade, in June, while Chinese carriers Tibet Airlines and Juneyao Air will strengthen the airport’s connections to Asia by opening a new Helsinki to Jinan route in April and a year-round connection to Shanghai in June, respectively. Finnish national carrier Finnair is also opening new routes, linking Helsinki Airport with Porto, Bordeaux, Bologna and Hanover in Europe starting in spring. The airline has just introduced a new service to Los Angeles in the US. Norwegian will connect the Finnish capital with Pisa in Italy and Tivat in Montenegro during the summer season, while Wizz Air is expanding Turku Airport’s European network to North Macedonia’s capital, Skopje, as well as to London and Kraków. There will also be added coverage on existing routes between Helsinki and Hong Kong, Osaka and Tokyo by Finnair, as well as between Turku and Riga by AirBaltic.